I have just spent 7 of the most amazing weeks of my life at TRACC’s Kudat camp. 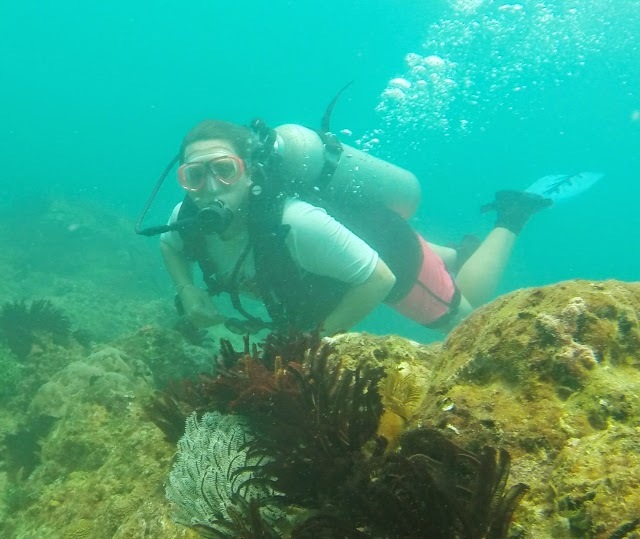 The diving on the west coast of the Kudat Peninsula is absolutely staggering, with heaps and heaps of colourful corals and a huge diversity of fish and other marine life as well. When the weather prevented us from diving on the west coast, we took day trips to the east coast which is just as awesome. 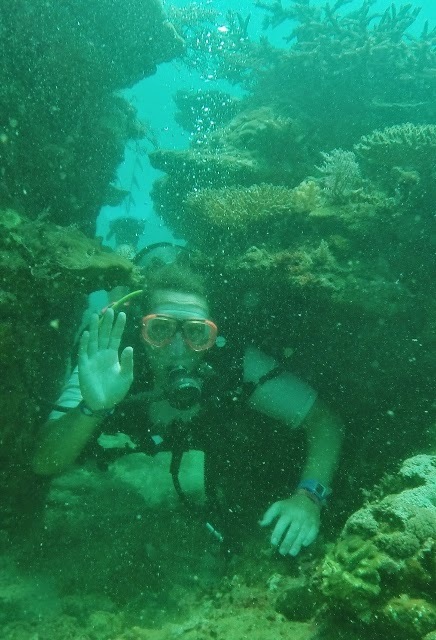 During my time with TRACC I completed my open water and Advanced Open Water Diver certification and was able to participate in loads of underwater adventures. Learning to make several different types of artificial substrate, using glass bottles, plastic bottles, crates and black pipe all anchored in cement bases, helping to search for suitable locations and then placing the constructions in those locations gave me a immense sense of triumph, especially when small fish began to explore them and as soon as the structures were in place. 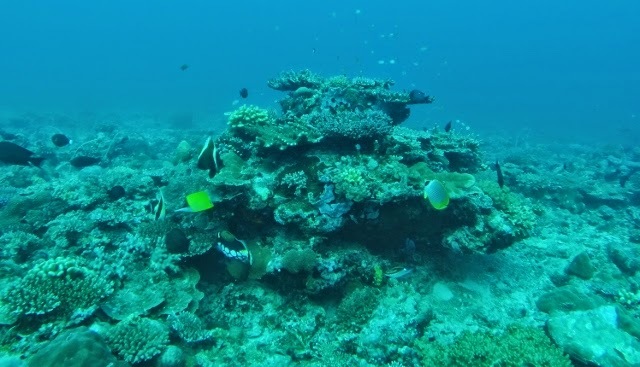 We collected lots of live coral fragments from storm damaged reefs at the lighthouse, attached these fragments to the substrates and watched them grow. It was truly incredible to see how quickly the corals are able to begin colonisation and flourish on the new substrate. Towards the end of my stay, I participated in several survey dives to search for cuttlefish along the inshore reefs and describe the topography and features of the reef in preparation for a cuttlefish spawning event that is expected to take place in January to March each year (I only wish I could be here for that). 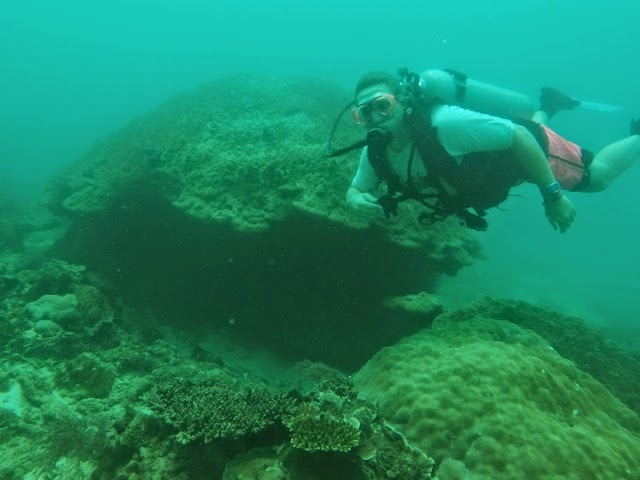 I was also a willing participant in several exploration dives to off shore reefs such as Batumandi rocks rarely explored by humans. These expeditions were a highlight of my internship, being able to compare the difference in diversity of the near shore reefs and the off shore ones. 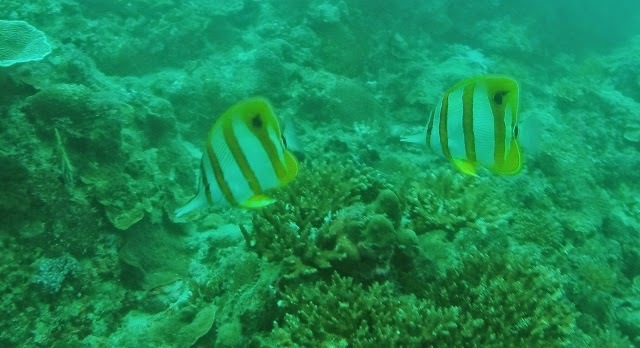 The visibility at these reefs went forever and the fish species were abundant. Steve and the staff at TRACC are extremely friendly, helpful and full of information for those who want to learn, all you have to do is ask. I have learned more in the past 7 weeks than I have in the past two and half years of study. It is an honour and a privilege to have been involved with such a fantastic organisation and able to help with their conservation projects to preserve the biodiversity in this area. I will miss you all and look forward to seeing you again soon. I have already booked my return trip next year so that I can bring my husband and two teenage sons over here to see for themselves how being passionate about something and getting involved can actually make a difference.